A rice cooker is good for so much more than cooking rice. This dish couldn’t get easier! 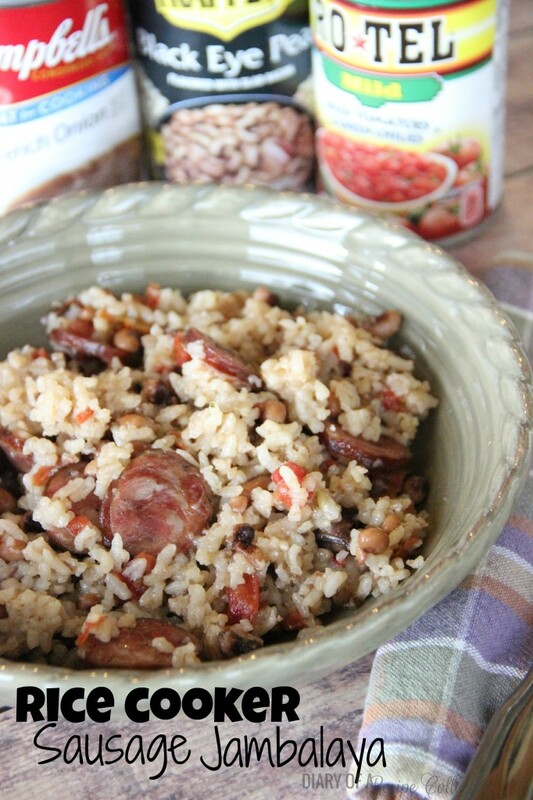 Six ingredients and a rice cooker and you are on your way to a great Cajun dinner! Mix all ingredients in rice cooker. Once it finishes, allow it to set for 5 minutes. (Do not lift the lid). Turn the rice cooker back on again. It will cook for a shorter cycle this time. Let it set for 10 minutes after it goes off. Stir and check rice to make sure it is done. If not, add a little more water (about 2 tbsp), stir, and set it to cook again. Note: If you don't have a rice cooker, you can cook this in a sauce pan with a lid for 20-30 minutes.